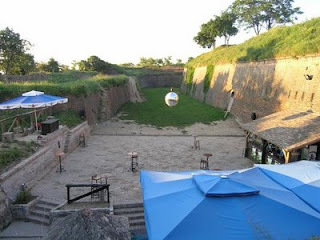 In my last post I mentioned that Exit music festival in Novi Sad takes place on a huge fortress complex. Well, that place is called Petrovaradin Fortress, and is probably the oldest constantly settled site in Vojvodina. The original fort was built on a natural cliff extending from Fruska Gora, right next to the river Danube by local Pre-Celtic tribes around 3000 B.C. Although historians aren’t sure what was that village or small town like, they are certain it was a permanent, fortified settlement. Those tribes were succeeded by the Romans, Hungarians, Turks and many other nations and, more importantly, armies. Current structure was built by the Austro-Hungarian Empire in the 18Th century, and hasn’t changed since then. 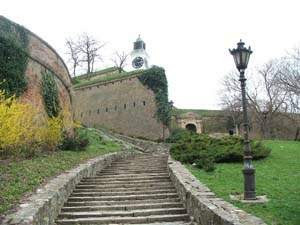 Today, Petrovaradin Fortress spreads for acres with an elaborate underground tunnel system that has 4 levels and combined length of 16 kilometers. Fort lost its military purpose some 50 years ago, and now is completely transformed into a cultural destination. It has a hotel, several restaurants with different themes (I recommend the one with Italian cuisine), two museums and dozens of galleries and painting studios. Because of its tranquility and picturesque scenery, a lot of people regularly spend a few hours every weekend there, relaxing and enjoying the grate view of Novi Sad and Fruska Gora. Of course, if you like to go out and party, there are two big clubs on the fortress you shouldn’t miss out. First one is called ‘’Museum’’ and is located right next to the hotel and the real natural history museum. But the second one is far more interesting. ‘’Jelisavetin Bastion’’ was built right in the outer tunnels and has a big summer garden between the fortress walls. Firs time I went there I was completely blown away – guests have to walk something like 100 meters through a tunnel network before they reach the club rooms – it was like an Indian Jones adventure and you should check it out, but not if you’re claustrophobic. 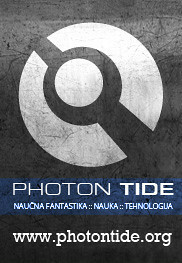 First photo is mine. How did you us it!!!?? ?